Very good condition, was used only few times. All rings operating smoothly. 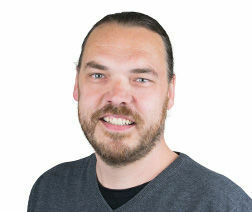 Aperture works fine. Clean and clear glass. Please check photos. 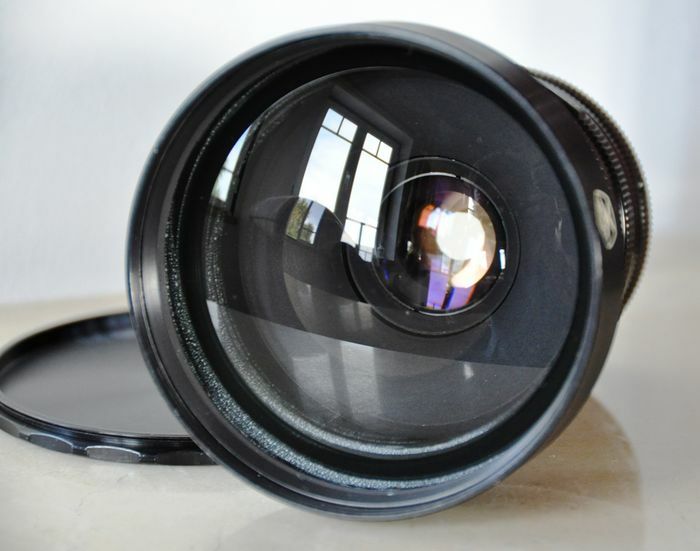 Mir 3 lens is a copy of Karl Zeiss Flektogon, even it is not so compact as latest 65mm MIR-38V lens, it provides better image quality. 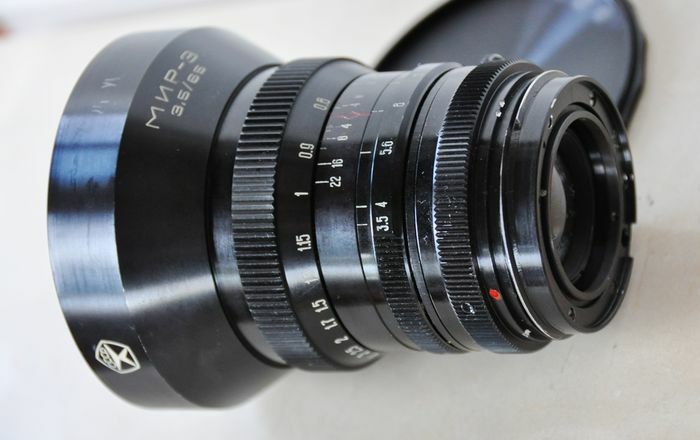 Mir 3 is a great lens, very attractive for its sharp picture and vintage look. 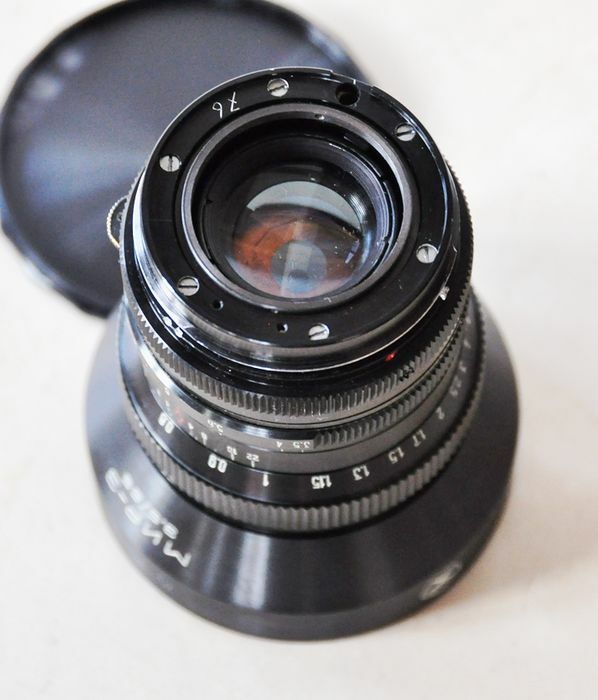 Please note that most all Soviet lenses are exceptionally good and this one is no exception! 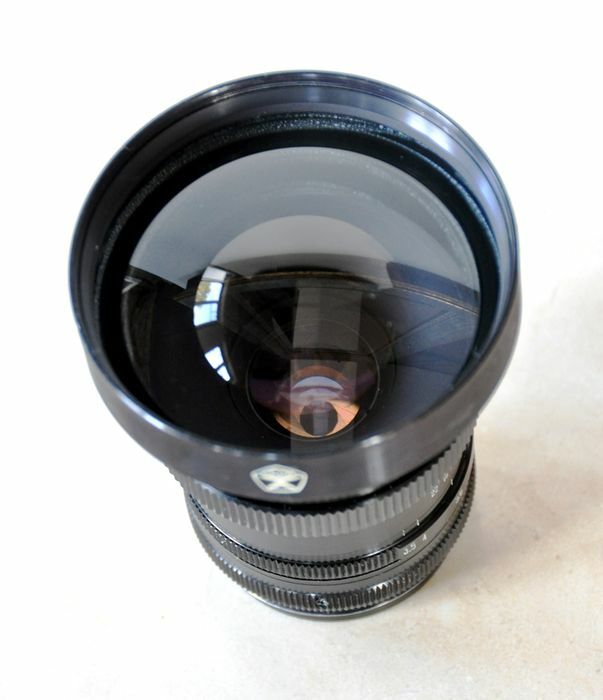 Focus 66.1 mm (on the lens engraved 65mm). Angle of view 66 degrees. Mounting - half-groove bayonet V same with old Hasselblad (but I don't sure that Mir-3 can be mounted on genuine Hassel) and with Soviet Kiev 88 and Salut cameras. Relative aperture 1:3.5 (up to 1:22). Number of diaphragm blades – 12. The aperture blades have a strong yellow metallic luster. Resolution of the lens (in pairs of lines per 1mm) is not less than 40 in the center and 14 on the edge of frame. Weight (with lens caps and case) about 1.6 kg. 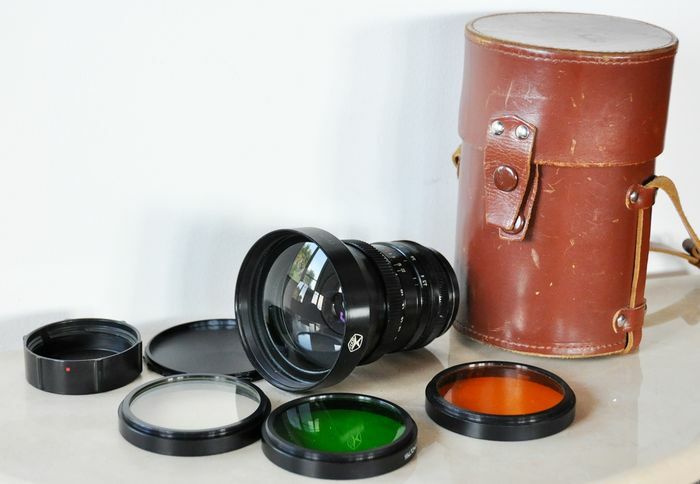 Comes with: Leather case, three light filters, two lens cups. 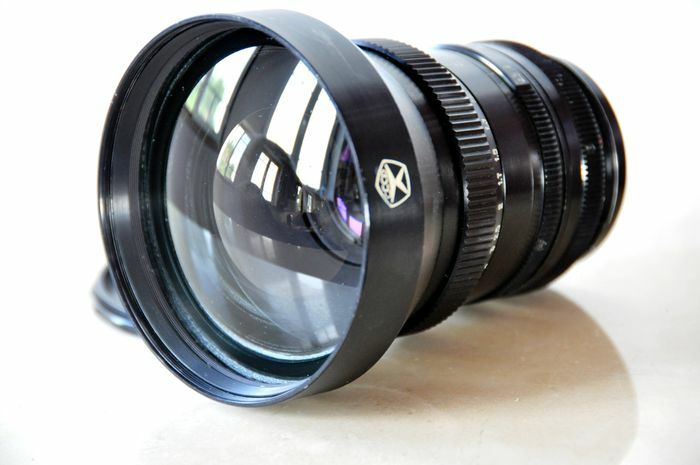 The lens was produced at Arsenal plant at Kiev city (former USSR) in 70th last century.